Although I wrote everything I know about squirrel issues for this website, oftentimes a problem with squirrels in the attic is beyond the scope of the do-it-yourself homeowner to solve. I have found a professional company in Lowell, Massachusetts that handles problems with wildlife. Bay State Wildlife has access to tools, techniques, and experience that help them do a far better job at wildlife removal than a non-experienced homeowner could. They possess licensing that allows them to do certain types of work legally, that non-licensed homeowners in the state of Massachusetts are not allowed to do. For the welfare of your situation, and the squirrels, in some cases it's best to hire a pro. There are good companies and bad companies out there. I've done research on such companies, to get to know them, and feel confident recommending their services. I therefore recommend a company called Bay State Wildlife which services Lowell, Massachusetts. If you have a squirrel problem, or any other conflict with a wild animal, and live in Lowell, I am confident that this company, Bay State Wildlife, is the one to call. I asked the company to describe their service range, and they said this - We also provide wild animal control in the following towns: Dracut, Tyngsboro, Westford, Chelmsford, Carlisle, Billerica, Tewksbury, Andover, Methuen, Lawrence, North Andover, North Reading, Haverhill, Boxford, Middleton, Ipswich, Rowley, Georgetown, Newbury, Groveland, Haverhill, Merrimac, West Newbury, Newbury, Newburyport, Salisbury, Amesbury. Bay State Wildlife operates 24/7, so don't hesitate to call at any time to discuss your wildlife problem, and schedule an appointment for same-day or next-day service. Dear David, My attorney represents clients in a lawsuit with the builder of their home and is seeking a qualified consultant, with good credentials and experience, to provide expert testify in the lawsuit in the area of how damaging and dangerous squirrel infestation is, both in their particular situation and in general. Our clients have been told by the exterminators that they have the area record for the number of squirrels removed to date; and the infestation continues. Can you recommend a qualified testifying consultant or expert in the Lowell MA area we could contact to discuss our clients' situation? Thank you for any assistance you can give us. If you have a squirrel problem in Middlesex County Massachusetts, or any other conflict with a wild animal, I am confident that we can solve it. 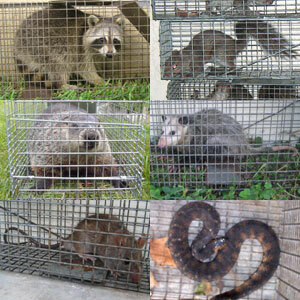 We use humane methods when dealing with Lowell wildlife removal situations. Squirrel Control Lowell. Our company is fully licensed and insured in Massachusetts. Call us any time at 617-939-9710 for a price quote and to schedule a same-day or next-day appointment to solve your squirrel problem in Lowell.